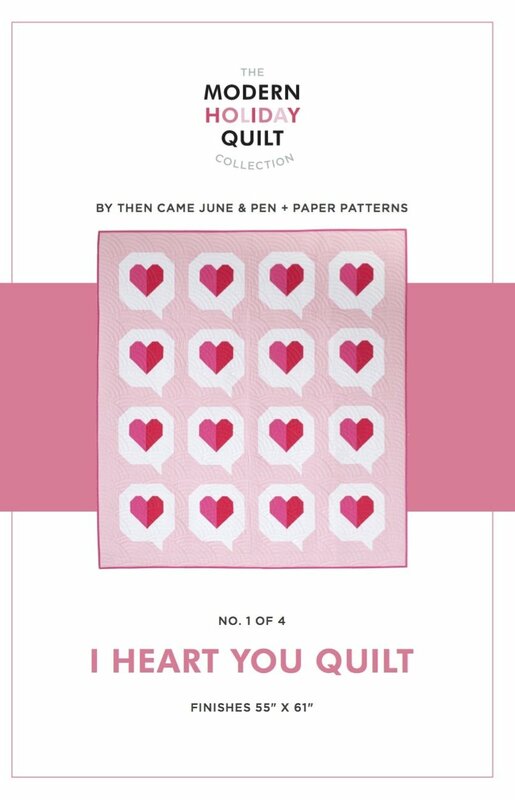 The I Heart You Quilt Pattern is part of The Modern Holiday Quilt Collection. The pattern is a fresh take on a classic heart quilt. These little heart message bubbles are inspired by getting a text from a loved one. It is block based, beginner friendly and a fast finish. Finished size is 55" x 61".